The first in JBL’s new 7 Series line, the 708i model answers the call for next generation multi-channel monitoring in post rooms, broadcast facilities and trucks. 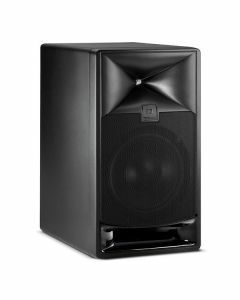 Leveraging patented technologies developed for JBL's flagship M2 Master Reference Monitor, 7 Series Studio Monitors deliver detailed imaging, extended frequency response and remarkable output from compact enclosures. Centrally amplified and tuned, and easily installed, 708i Studio Monitors are the heart of an elegant, scalable system for broadcast and post facilities working in immersive audio formats.